My own version of the "A meal without wine is a day without sunshine" saying goes like this: "A meal without bread is a day without sunshine". My grandpa was a baker, my first serious boyfriend was a baker, what can I say? Bread is the way to my heart. If I had an endless supply (and the metabolism of an athlete), I would eat bread for breakfast, lunch, and dinner. But since I don't, I save it for special occasions - for some reason, a perfectly ripe avocado seems to have become enough of a "special occasion". I had already experimented with No Knead Bread, but was inspired to go one step further in my zero waste experiments (no more instant yeast packets!). 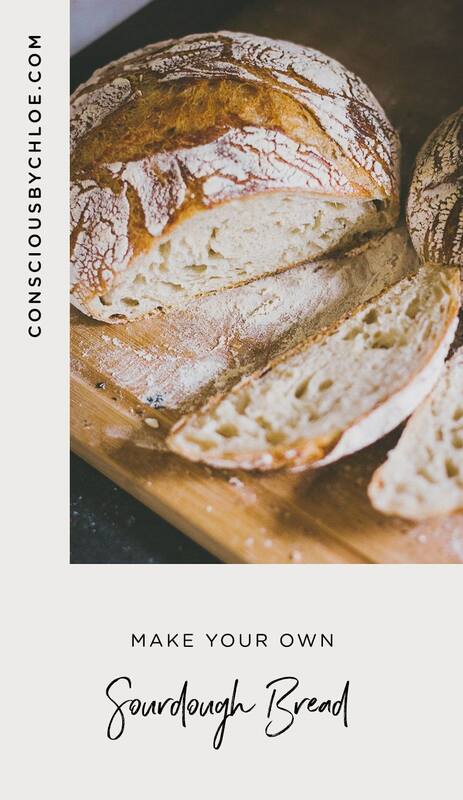 Some time after I watched the "Air" episode of Michael Pollan's "Cooked" Series on Netflix, I attended a food swap and came back home with my first sourdough starter. The time had finally come for me to make my own sourdough bread! Octave and I used this sourdough recipe and worked with the equipment we had at home to bake our first loaves, though I wish we had proper proofing baskets* and a sharp scoring tool*. 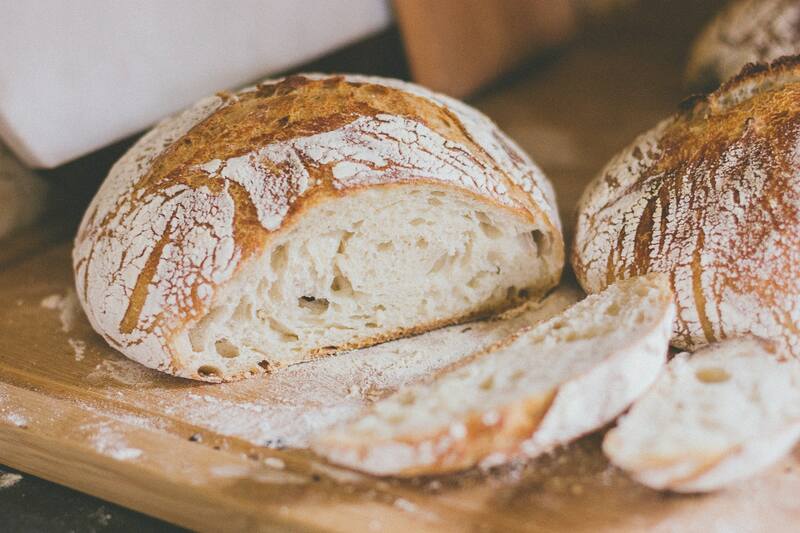 Though the article links to instructions for how to make a sourdough starter, I would highly recommended getting a starter from a local source. Ask a friend, post a message on Nextdoor, ask your baker, sourdough starters grow way too fast so people are usually eager to share them to avoid waste. Talking about waste, the Zero Waste Chef has an amazing sourdough crackers recipe, but that's a whole other story. 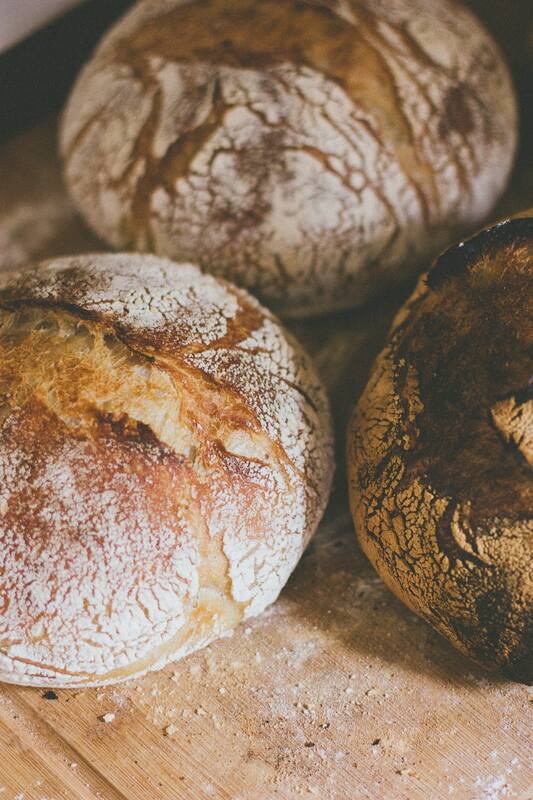 For now, you need to focus on bread making before even thinking of repurposing your leftover sourdough starter. The process was long, but the result was so worth it! 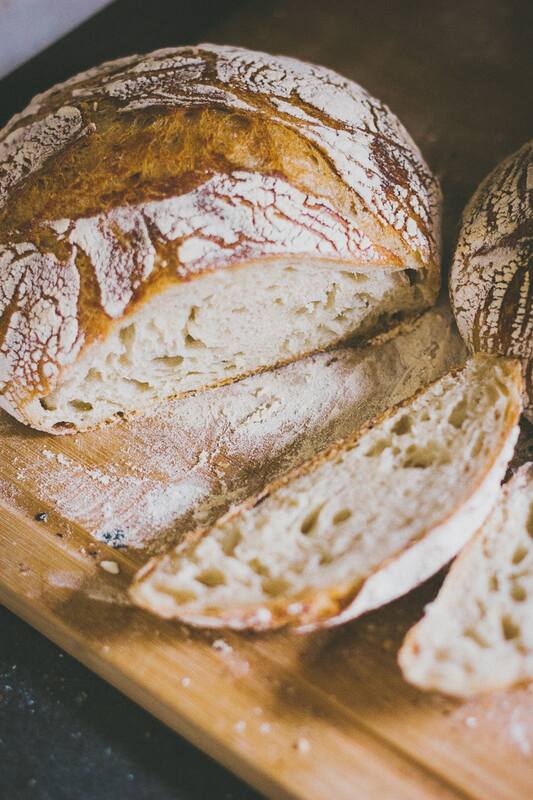 The smell of warm bread, the tanginess of that first slice you've just cut from your homemade loaf, nothing beats that feeling. My paternal grandpa passed away a couple days before I moved to the US - but I only got the news after I had landed in LA. We had been estranged for a couple years and I never got a chance to say goodbye, so this experiment brought me a little closer to this complex figure in my life. But on a larger scale, all the recipes and DIYs I've tested during my journey to less waste - whether it's a lip balm, a loaf of bread or a jacket - make me appreciate so much the work of small makers. I might not make bread at home forever, but I'm happy to now know how much work, science and dedication it actually takes to have bread on the table for every meal. Tartine* - I had this book on my radar when I was working at the shop, and regret not having used my employee discount to buy a copy. Cooked - Michael Pollan's Netflix Series focused on the 4 elements. Bread Making Essentials* - My ideal breadmaker kit. What's the one thing you could eat all day, every day?